Codeine addiction is an opioid use disorder characterized by an inability to control use of this drug, a development of tolerance, and withdrawal symptoms when not using it. Anyone who misuses codeine or codeine combination products is at risk of developing an addiction, and the risk increases with greater misuse. Codeine addiction can lead to a fatal opioid overdose, which can be treated and reversed if addressed immediately. Treatment for the addiction should include a combination of therapy and appropriate medications. Codeine is a narcotic opioid drug, available only by prescription. It is used to manage pain and coughing, but as an opioid it also causes euphoria and is habit forming. An addiction to codeine is an opioid use disorder and is characterized by misuse of the drug, inability to control use of it, a buildup of tolerance to codeine, and withdrawal symptoms when not using it, among other potential symptoms. Addiction to any substance is a serious condition that needs to be diagnosed and treated. Opioid and codeine use disorder can cause or exacerbate physical and mental health conditions. It impairs function in normal activities and responsibilities. Treatment can help restore function, improve health, and lead to abstinence and recovery. Codeine is an analgesic (painkiller) and antitussive (cough relief and prevention). It is available only by prescription, often in combination with other drugs. Codeine is a natural substance that is found in the opium poppy, along with morphine. As an opioid, it belongs to the same class of drugs as heroin, oxycodone, and hydrocodone. Pure codeine is a schedule II controlled substance because it has a high potential for abuse, is habit-forming, and can cause a severe dependence. Prescriptions for pain that combine codeine with Tylenol (Tylenol 3) or aspirin are schedule III controlled substances. They contain less than 90 milligrams of codeine per dose but still have a potential for abuse. Prescription cough syrups, like Robitussin AC, that contain less than 200 milligrams per dose of 100 milliliters are schedule V controlled substances. In 2015, 20.5 million Americans over the age of 11 had a substance use disorder, and two million of those involved opioid painkillers, including codeine products. Overdose deaths in the U.S. from natural and semisynthetic opioids, which includes codeine, increased from 2015 to 2016, but deaths from these drugs are still significantly lower than those caused by misuse of the synthetic opioids fentanyl and tramadol. Overdosing on codeine is possible for anyone who misuses this drug. An overdose may occur the first time someone misuses it or during any subsequent misuse, and opioid overdoses always have the potential to be fatal. Signs of codeine overdose include trouble breathing, extreme drowsiness, slow heartbeat, cold skin, dizziness, fainting and loss of consciousness. These should be considered medical emergencies. There is a drug, naloxone, that can reverse a codeine overdose, but it must be administered in time. Withdrawal refers to the symptoms a person experiences when no longer using a drug. Experiencing these symptoms is a strong sign that an individual may be addicted. Detox is the process of stopping use of a drug and letting it leave the body entirely. This is the crucial and important first step in recovery from a substance use disorder, but it triggers uncomfortable withdrawal. Withdrawal is a major reason why people relapse and start misusing drugs again, and is a very important reason why detox should be done under the supervision of medical or addiction professionals. Withdrawal from codeine may include a number of symptoms. These can vary by each individual going through the process, and the severity and duration depends on how long a person was misusing the drug, the frequency, and the doses misused. The symptoms usually begin as soon as a few hours after the last use, peak within a couple of days, and may continue for up to a week. Potential early codeine withdrawal symptoms include anxiety, cravings, increased breathing, sweating, tearing, dilated pupils, runny nose, and abdominal cramps. As withdrawal goes on, it may cause tremors, muscle twitches, fever, chills, nausea, vomiting, and diarrhea. It is common for substance use disorders, including addiction to codeine and other opioids, to co-occur with other conditions, particularly mental illnesses. There are several potential reasons for this phenomenon, including the fact that mental illnesses and addiction have overlapping risk factors. Someone at risk for opioid addiction may also be at risk for depression or anxiety, for instance. Also, it is not uncommon for someone with an undiagnosed or untreated mental illness to use substances to cope with difficult emotions. On the other hand, misuse of codeine and other drugs can trigger or worsen symptoms of mental illness. 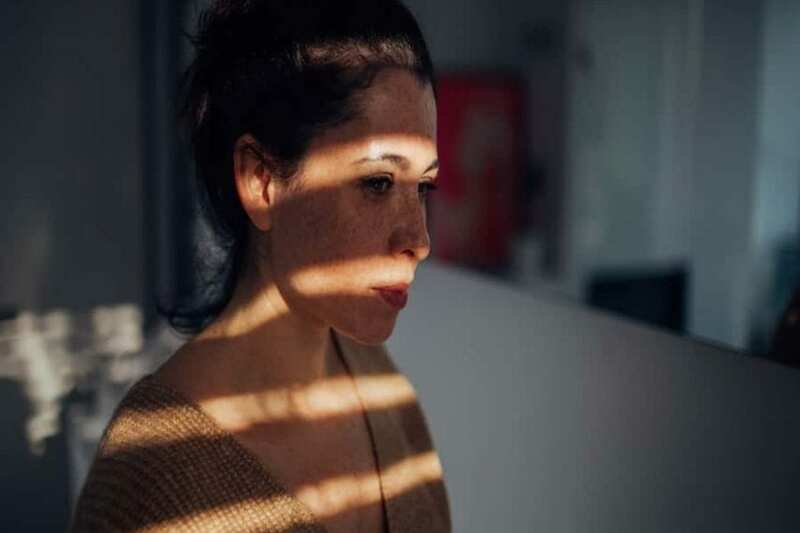 According to research there are two mental illnesses that most commonly occur with opioid use disorders: depression and antisocial personality disorder. Anxiety disorders are also common, as is post-traumatic stress disorder. More so than with other drugs of abuse, medication-assisted treatment can sometimes help manage opioid use disorders like codeine addiction. There are a few drugs that are approved to treat opioid addiction, including buprenorphine to manage withdrawal and naloxone to block the effects of opioids, which helps prevent relapses. While medication can aid in detox and sometimes treatment, it should not be the sole strategy for managing codeine addiction. Therapy is cornerstone of treatment, particularly behavioral therapy that helps patients learn how to recognize triggers, and negative thoughts and behaviors, and to take positive steps to change them and set and achieve goals. Other types of therapy can be useful, too, including family or relational therapy and group therapy and support. Residential treatment can be a great option for someone struggling with codeine addiction. At a residential facility, patients have 24-hour supervision and care as well as the support of staff and other patients. There is also access to a range of services, including holistic medical care, alternative therapies, nutrition and exercise, recreation, lifestyle changes, and relapse prevention. Residential programs usually last at least a month and should include planning for future living arrangements, work, and ongoing treatment. It should also include screening and treatment for any co-occurring mental illnesses. Codeine addiction is a very serious medical condition and brain disease that can have lasting consequences, from ongoing mental health issues to legal problems and broken relationships, and even death. Overdose is a real risk of any degree of misuse of an opioid drug and it can easily be fatal. If you or someone you love is struggling to stop using codeine, seek out a professional diagnosis and appropriate treatment.